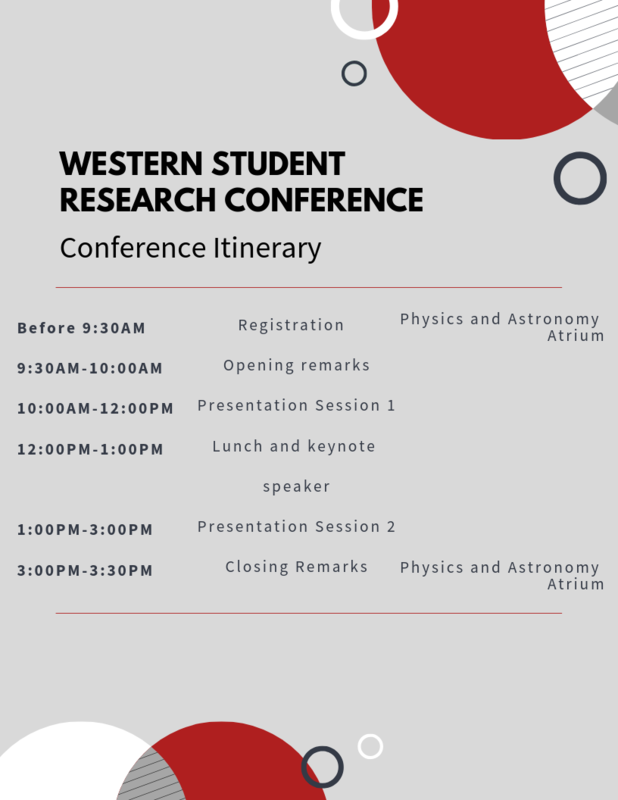 WSRC 2019 will be held at the Physics & Astronomy Building at Western University. The conference will be held on Friday March 29, 2019. See below for a full conference itinerary. Stay updated with WSRC 2019 by signing up to be on our mailing list today!